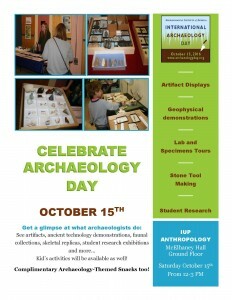 International Archaeology Day is upon us! Saturday, October 15th to be exact. Get excited!! Dr. Lara and I have been meeting weekly to discuss logistics, and reaching out to undergraduate and graduate students to get involved. Some of you have participated in the past, and for some of you it’s your first time. Our event will include Historic and Prehistoric archaeology, a GPR demo, flintknapping, Zooarch, a kids table, and much more! This is our chance to show the community what we know, and why archaeology is important, and connects us to the past. It is not only our duty to educate the community, but make it fun at the same time. If we just put a bunch of artifacts on a table and tell our guests what they are and where they came from, that isn’t interesting or fun. We as archaeologists know that they are interesting, but how can we make them come alive? 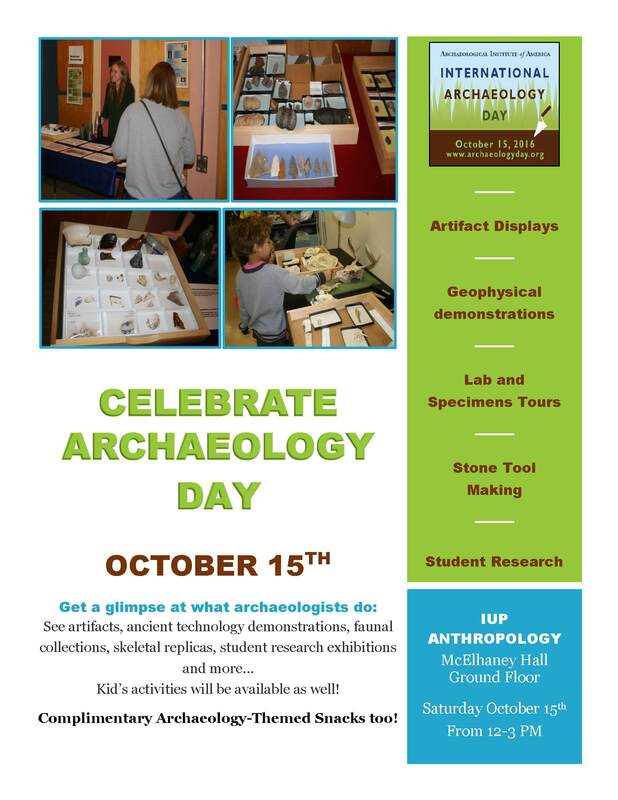 We can ask people to come to Archaeology Day, even bribe them with snacks, but we want them to walk away saying, “Wow, that was really cool! I want to get involved in my local archaeology chapter” or “I am changing majors tomorrow”. Most importantly, we want them to walk away thinking that archaeological sites are a valuable resource that should be protected. Now, I know that isn’t going to happen with everyone, but that is how we should think about this day. It’s an opportunity to show the public why we do what we do. This entry was posted in Field School, Fieldwork, Grad School, International, Labwork, Training, Uncategorized, Undergraduate.